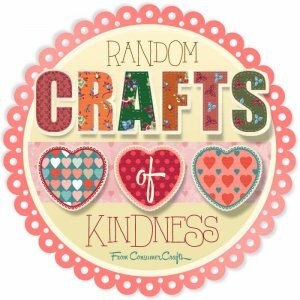 This post is part of the Random Crafts of Kindness campaign sponsored by Consumer Crafts. 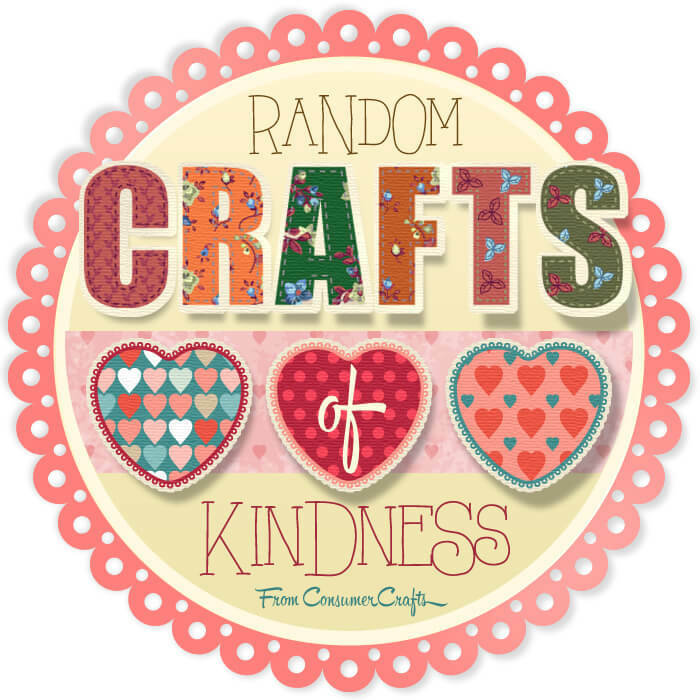 When I heard about Consumer Craft‘s Random Crafts of Kindness campaign, I jumped at the chance to be involved. 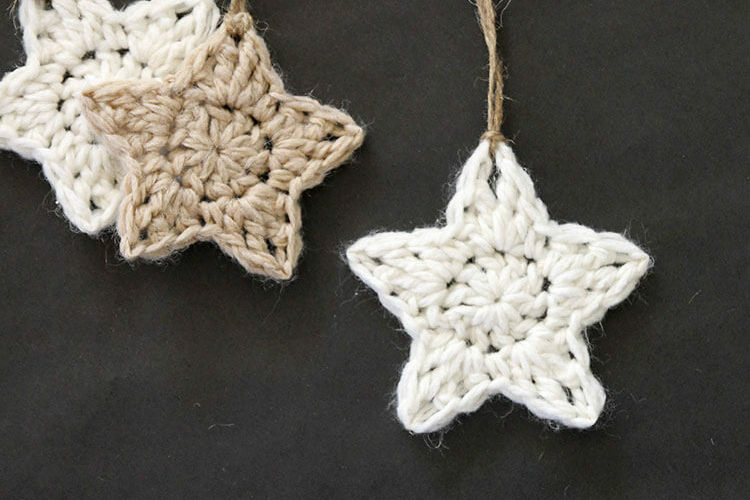 I just love the idea of surprising someone with a little handmade gift. When I began thinking about who could use a little pick-me-up, one person came to mind. I have a new friend who moved into my neighborhood recently, who has not had the easiest time adjusting to her new home. I love living in the desert, but for folks from greener parts, it can be a big change. 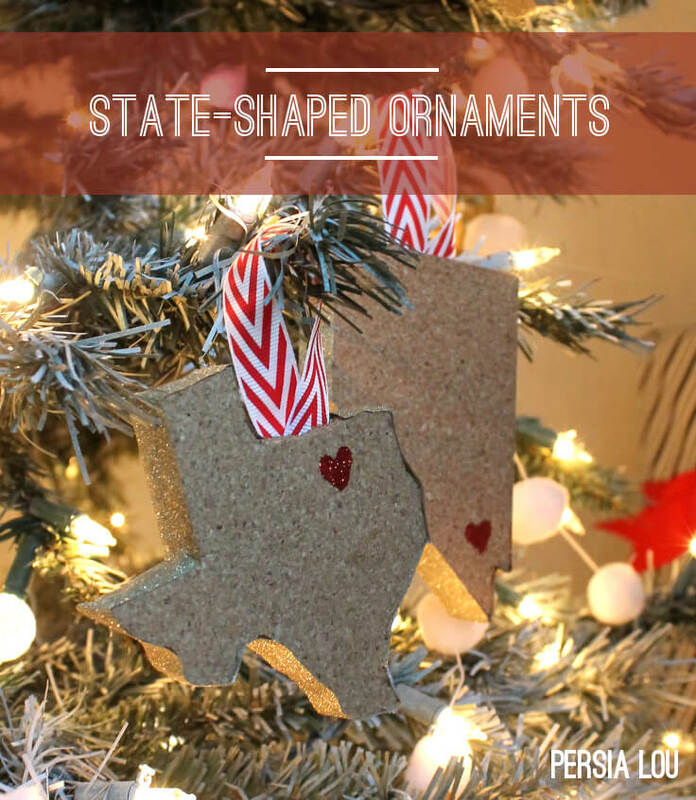 I knew she has been homesick, and I thought a little reminder of home might bring a smile to her face, and I came up with the idea of a state-shaped ornament to add to her Christmas tree. 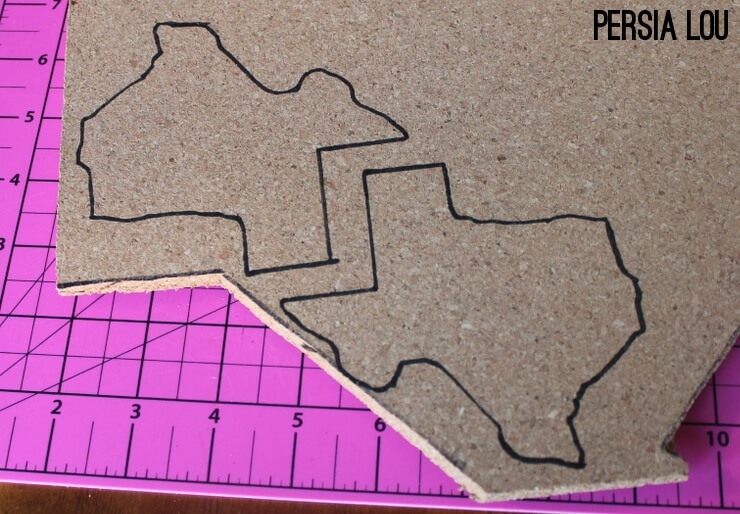 Start off by printing your chosen state’s outline onto a piece of cardstock and cut out your template. 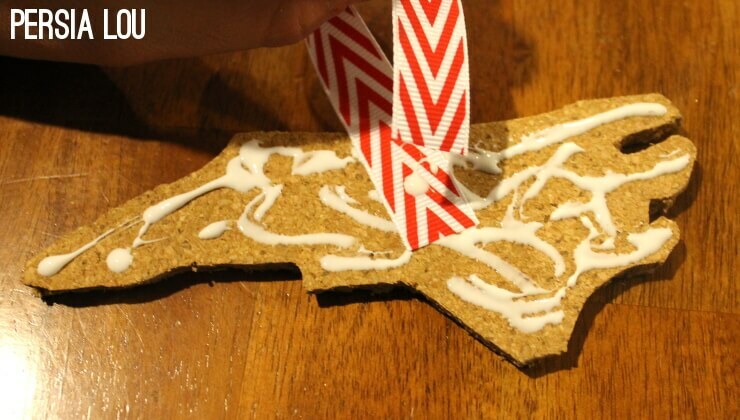 Trace around the state with a marker. You will need two pieces for your ornament. 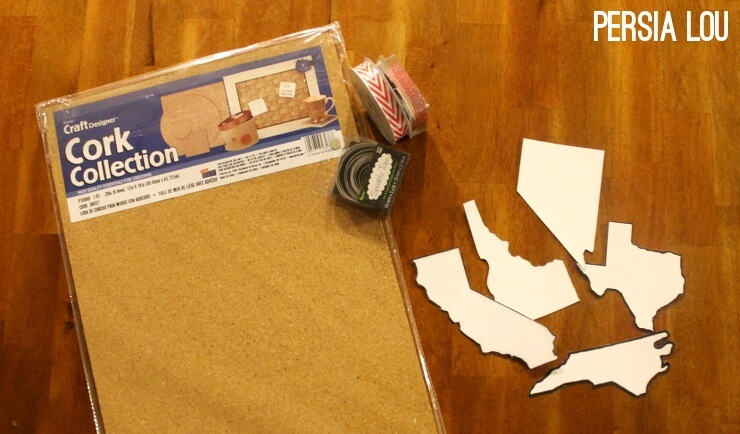 Cut the shapes out using a craft knife and a cutting mat. 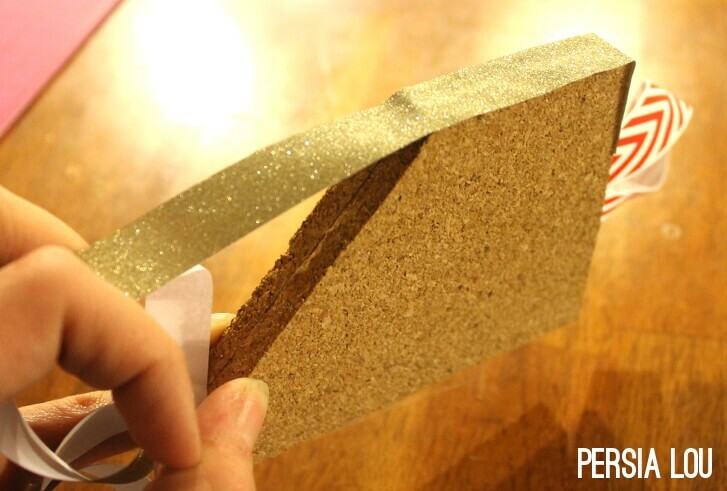 The cork cuts fairly easily, but be careful and go slowly! Cut on the inside of your marker line. 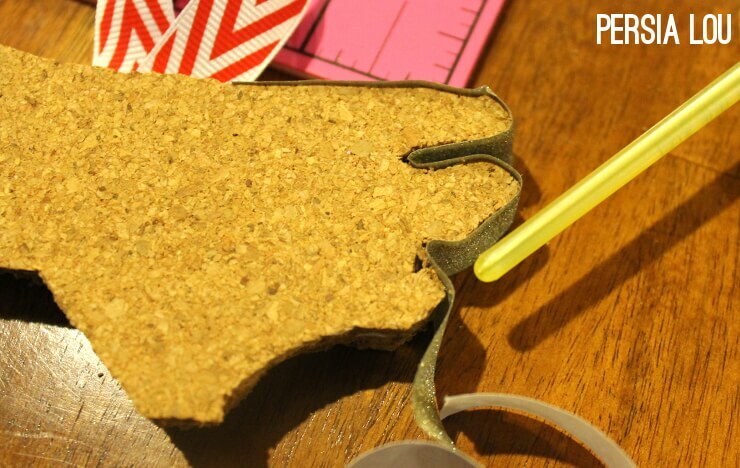 When you have your two state-shaped pieces of cork, glue them together sandwiching a piece of ribbon between the two pieces. After the glue has dried, it’s time to play with sparkle tape! I’d never used this stuff before, but I really liked it. I simply unpeeled the tape from its backing and wrapped it around the outside edge of the ornament. I used the end of a paint brush to push the tape into any tight spots like this one on North Carolina here. 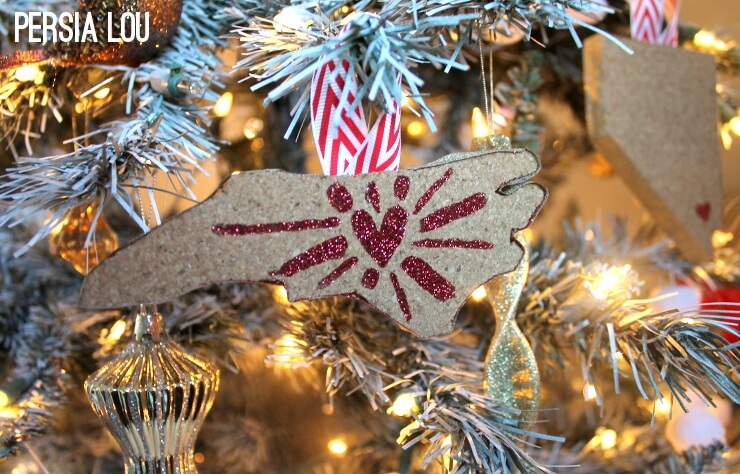 When you are done taping the edge, you can add some glittery heart love to the ornament. And there you have it! I decided to give these to my friends attached to a little box of Christmas goodies. 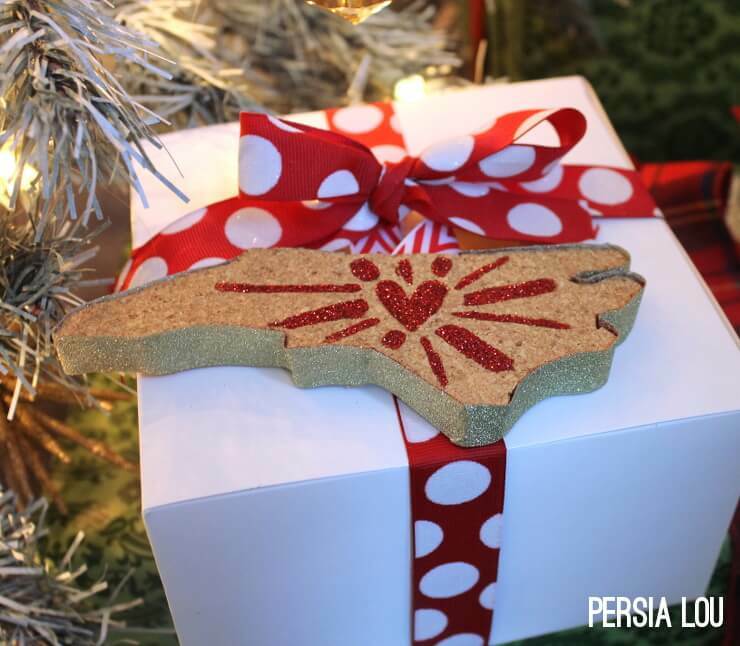 If you know someone who is a bit homesick during the holidays, maybe you can bring a little bit of home to them! That&#39;s very thoughtful of you. Moving to a new city is hard. 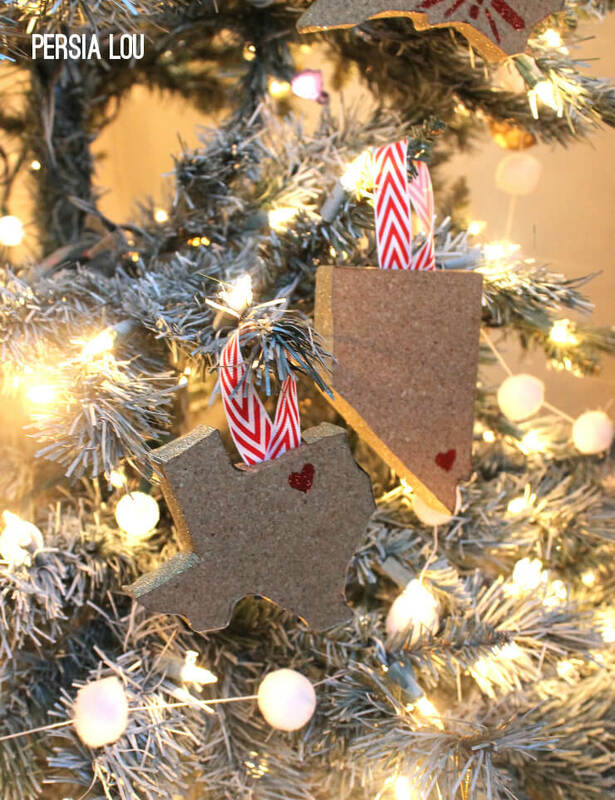 I&#39;m sure your neighbor will be so touched by your mega cute ornament :).<br />Thank you for introducing me to sparkle tape. I need it. These are super cute, I love this idea!! 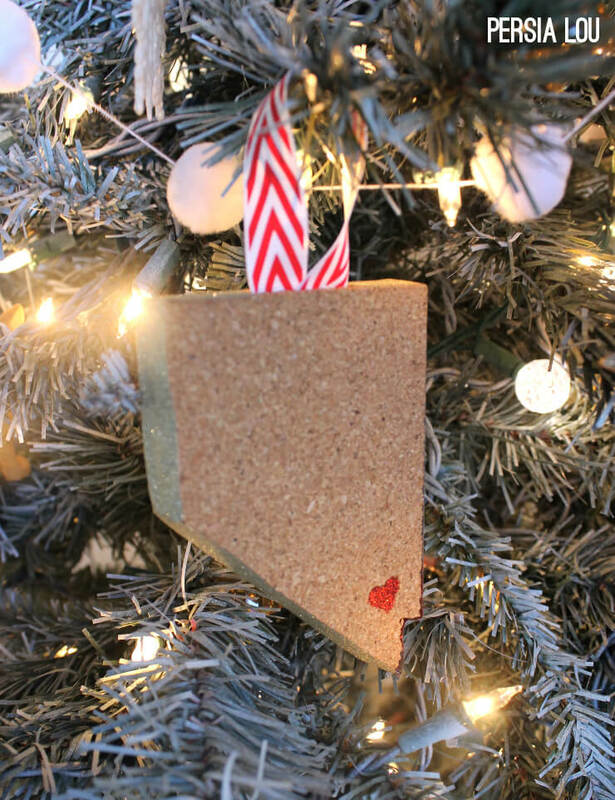 I think I&#39;m gonna try to make one for my boyfriend though, so I think I&#39;d use a pushpin or thumbtack to mark his hometown – he&#39;s not exactly the mushy-gushy, heart and love type. I think he&#39;ll love it though! !